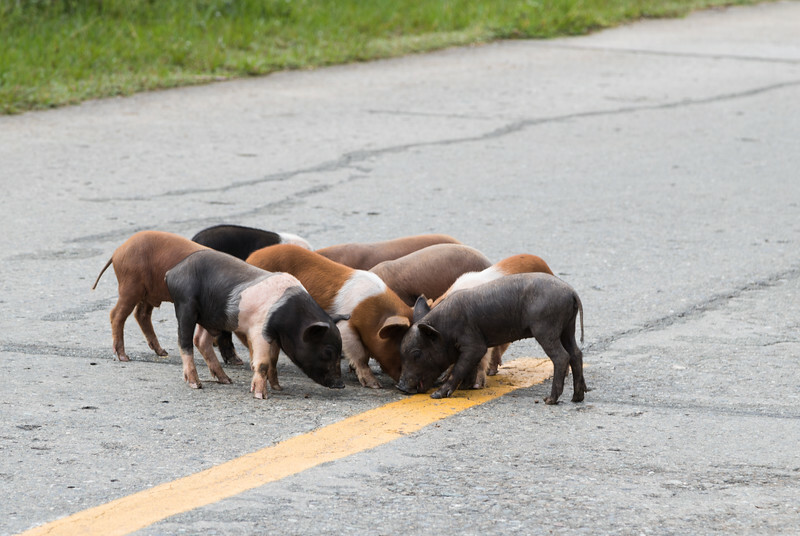 These cute, colorful piglets must have found something edible in the middle of the road. Notice the yellow stripe. We had to chase them away as a bus was coming.